FHA 203k loans allow borrowers to add the cost to repair or improve the property to the base loan amount, essentially providing an all-in-one construction loan. For example, if a home in Maple Valley has a sales price of $350,000 and needs $50,000 in repairs/rehab cost, the loan amount will be based on $400,000. Click here if you would like me to provide you with a detailed mortgage rate quote for an FHA 203k mortgage (or any mortgage) for homes located in Washington state. Anything that needs to be done to bring the dwelling to meet minimum FHA required standards. As this is an FHA loan, it offers the same minimum down payment (based on the sales price plus improvements) as a standard FHA loan (aka 203b) and allow credit scores of 640 or higher. FHA mortgages do have both upfront and monthly mortgage insurance premiums. This FHA program is available for owner occupied/primary residences, 1 – 4 unit homes. FHA 203k loans are subject to FHA loan limits. In the greater Seattle area, the 2014 FHA loan limit for a single family dwelling is $506,000. Click here for a complete list of FHA loan limits in Washington state for 2014. This may be a great option for home buyers who have had a challenging time in this market! With an FHA 203k rehab loan, you can expand your home search to include fixer-uppers that you customize to create your next home. If you are interested in an FHA 203k rehab mortgage for property located anywhere in Washington state, please contact me! I think its very rare case when borrower get mortgage for repairing as well.Monthly mortgage insurance is the key thing of this FHA loan. One of my friend wants to buy new home but it require some repairing. So I think this could be a better option for him. a 203k FHA rehab loan can really be useful for home buyers who find themselves in a competitive market, with low inventory as they can take a house that has been overlooked or needs some TLC and improve it to a nicer home. I’m very interested in figuring out how to use an FHA loan to buy a house in a desirable location near work that is an “as is” listed house with no more than one pic of the front, but it is very cheap, and I could fix it up over time while I live there. I can live in most any conditions necessary to make it happen, but I would need money to do the fixing, and a personal loan probably won’t cut it. There is a URA development organization for improving the community, but they seem to have bad reviews and be unhelpful, I’ve seen their houses, they are still fixers once they are done. Can FHA help me do it on my own? I’m familiar with the 203(b), but it seems my problem is getting advice, since lenders and realtors are afraid of the rehab loan, because it is complex, less common and therefore less understood, they have less experience to feel comfortable with it. Dennis, different lenders have different guidelines with what they will require for an FHA 203k rehab loan. 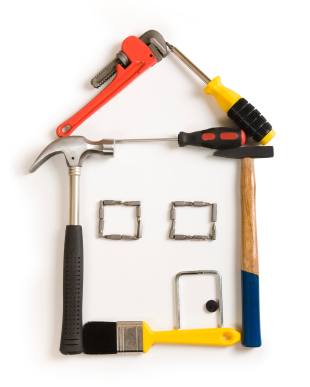 For example, they may require a general contractor and may not allow the home owner to be the general contractor. They may also want the work to be complete within a specific period of time. I recommend contacting a local lender who specializes in 203k rehab loans – they may be able to refer you to a real estate agent who’s not afraid of one as well.